If we talk about Uzbek national clothes, then chapan and skullcap immediately come to mind. Let`s tal abou about chapan today. Without false modesty, this is a unique item of clothing that will warm you in the worst cold and protect you even on the hottest day. So what is chapan? In the past, he was considered part of an exclusively male wardrobe, but in the modern world, women have not deprived him of their attention. Externally, it is a simple cut gown with straight sleeves, without buttons or clasps. However, in the chest area there are two ribbons that can be tied . On the sides of the hips are vertical cuts, so as not to hinder movement when walking. 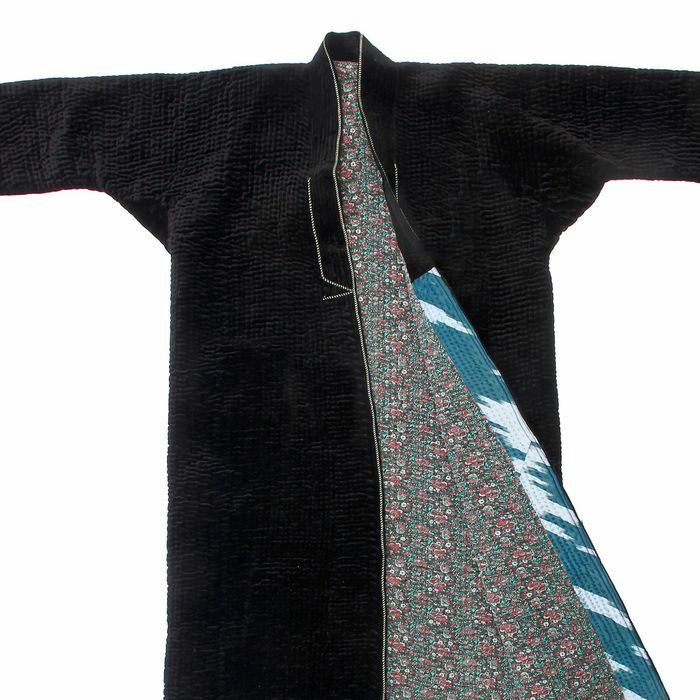 The dressing gown is overlapped, so that the chapan protects its wearer from the piercing wind. For warmth, a pad of cotton or camel wool is usually used. The entire chapan cloth is hand-quilted, so sewing it is considered a very hard work. Chapans in Uzbekistan wear what they say: “Both to the feast, and to the world, and to kind people.” For everyday life, products from simpler fabrics are chosen - velor or cotton, and calico lining. In this form, you can sit in your yard, not afraid to freeze. But festive chapans deserve special attention. 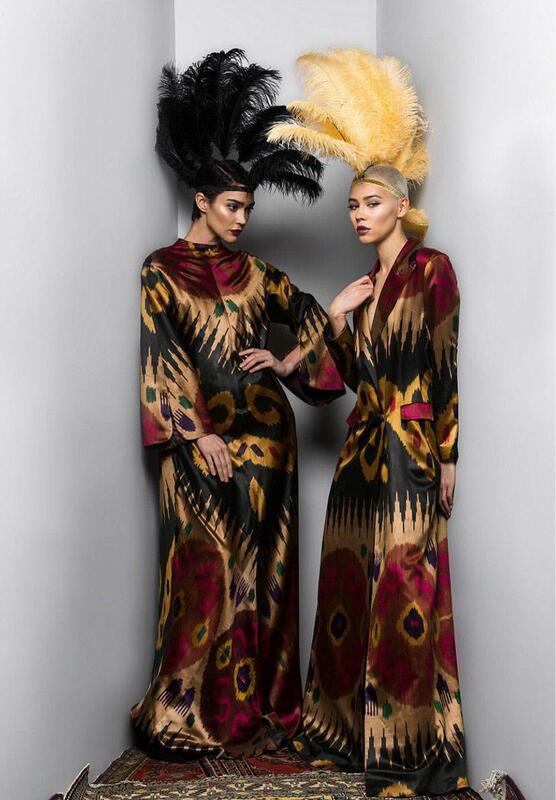 They are sewn from the most beautiful silk adras or from the luxurious iridescent alo-bakhmal (Uzbek velvet), the lining is also selected with taste from beautiful fabrics. The edges are decorated with braid woven by hand, with silk tassels. 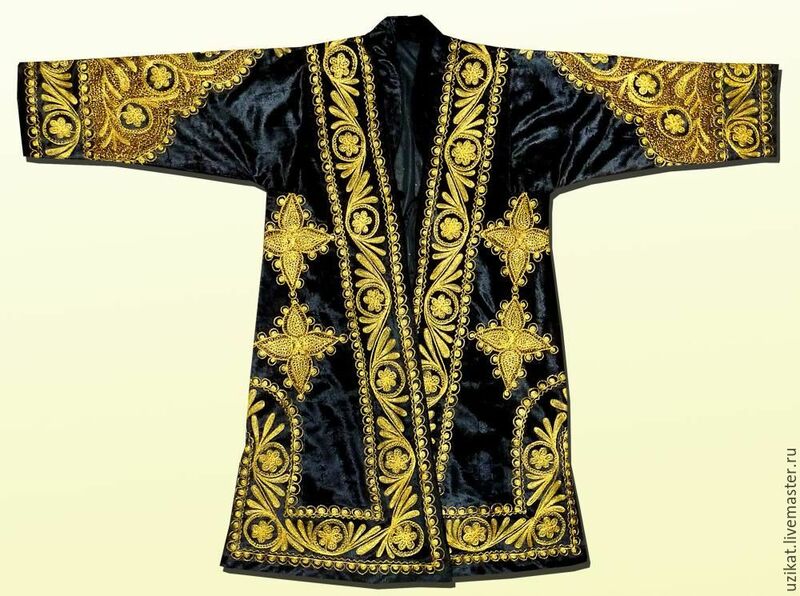 Particularly fabulous are chapans, decorated with hand-embroidered gold threads. This is a traditional gift for the most distinguished and respectable guests. Now chapan has like a second birth in Uzbekistan. Now it is not only a part of traditional national clothes, but also a fashion item. This is by the way that now women wear chapans, not only women of Uzbekistan, but also excellent representatives from all over the world. They wear it as outerwear, combining it with casual clothes in casual style. 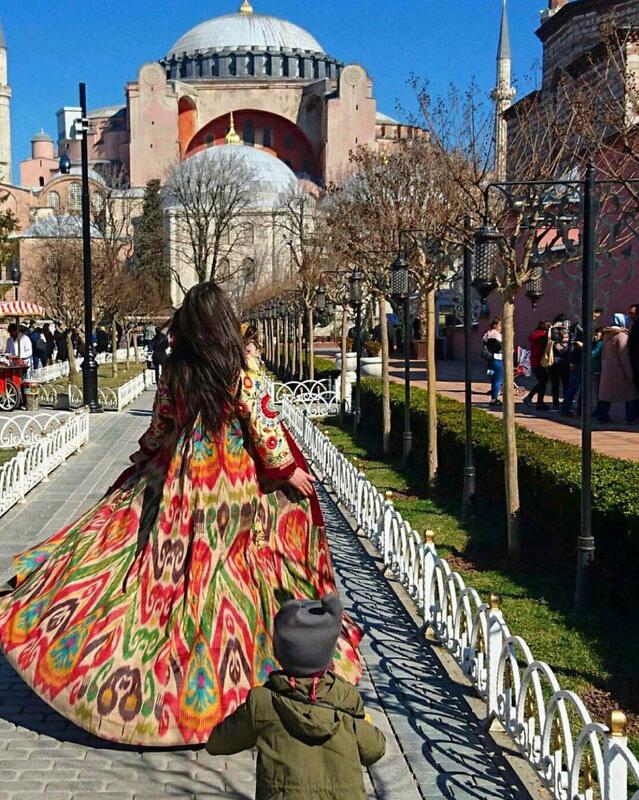 The best and famous Uzbek designers invent and adorn chapans: long and short, in the most colorful and diverse colors. 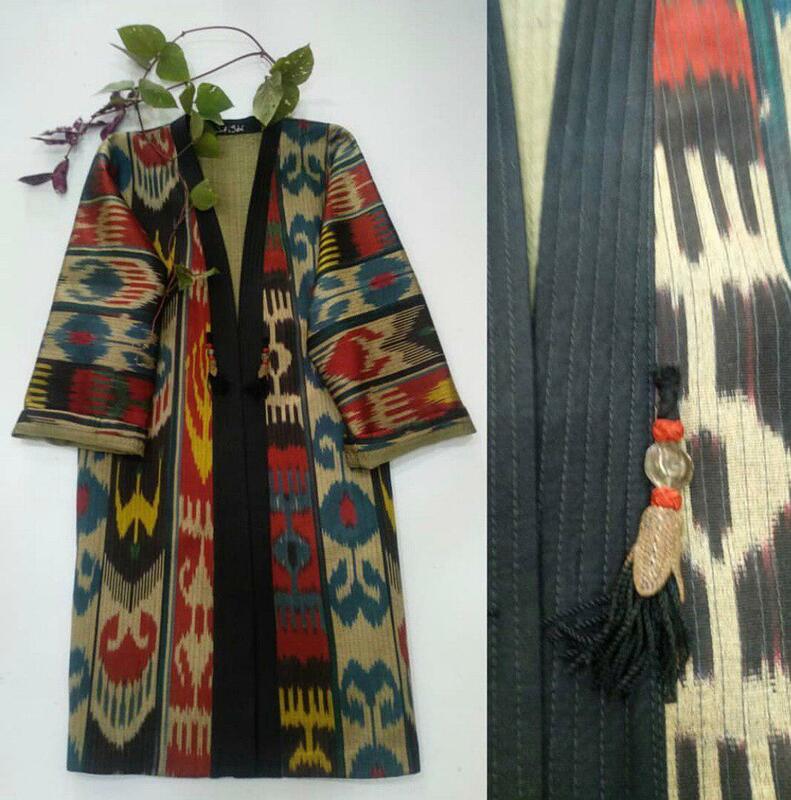 By the way, the cost of such a fashionable thing is far from cheap, because firstly, it is always handmade, secondly, used natural fabrics are quite expensive. And after all on tailoring of one female chapan with an ornament will leave up to 10 m.of adras, because the width of this fabric is only 40 sm. But then this thing will be unique, and it will surely attract admiring glances of all passers-by to itself.